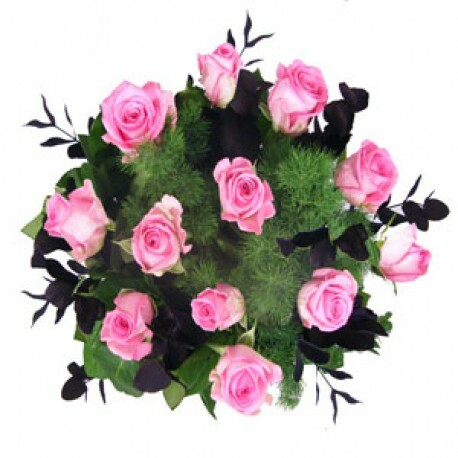 Dare to be different with these gorgeous long stemmed pink roses. A beautiful design featuring 12 luxury pink roses and mixed foliages making this bouquet the perfect gift for the one you love. The florist creating your hand tied bouquet will use their discretion when selecting foliages and fillers to compliment your roses to ensure you have the very best on the day! If you wish for it to be delivered in water simply state in the "Special Requests" section when ordering. Why not ramp up the romance and send a box of chocolates, a teddy bear or helium balloon with your order? Those added extras are sure to impress!